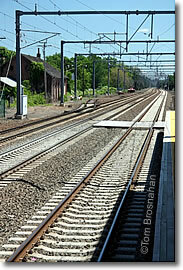 Highways and trains make Guilford, Connecticut easy to reach. Interstate 95 passes through Guilford (Exits 57, 58 & 59) about a mile north of the historic center, reached by heading south on CT Route 77 from I-95 Exit 58. US Route 1 passes through Guilford south of I-95, connecting the town centers along the Connecticut shoreline. 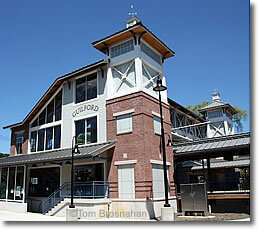 Guilford's railroad station is less than a mile southeast of the town green along Whitfield and Old Whitfield St (map), and only 3/10 of a mile from the Henry Whitfield State Museum ("Oldest House in Connecticut").